Size: * 3/8" x 12-18"
It's a Natural Choice! Made of 100% soy fibers these durable, earth-friendly collars will look great on your cat and show your concern for the planet. The soy fibers have a soft, cashmere feel that your pet will love. Choose from our color palette inspired by shades found in the natural world: Cranberry, Indigo and Rose. The collars have anti-bacterial properties to control odors. 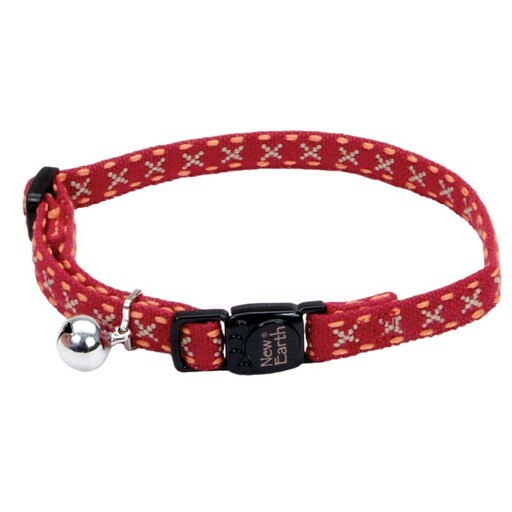 Collars are fully adjustable and feature a breakaway safety buckle. Article number: CLS-Rose Pattern-3/8" x 12-18"